Under Gabriele Rumi's leadership, the team entered the 1998 season with confidence, strengthening its design staff with Austrian Gustav Brunner who had already worked for Minardi in 1993. While this was too late to change the 1998 car in any meaningful way, Brunner's designs would raise eyebrows across the paddock in the following years. The Hart engines had been ditched and replaced with Ford units with the livery changing completely to silver and purple. Minardi signed another Japanese driver, Shinji Nakano, who had scored points with Prost in 1997. The team also sought to give a young driver a go, hiring 19-year-old Argentinean Esteban Tuero who had tested for Minardi in 1997. 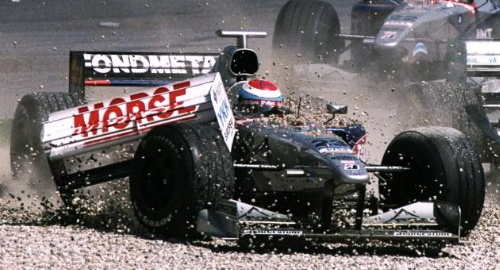 Nakano came very close to scoring at the Canadian Grand Prix, finishing seventh. Tuero's best result was an 8th spot at Imola and a very respectable 17th in qualifying at Melbourne. As the season progressed, however, Tuero's results deteriorated and he was steadily outpaced by Nakano. In the final race of the season, Tuero hurt his neck in a crash with Toranosuke Takagi in the Tyrrell. 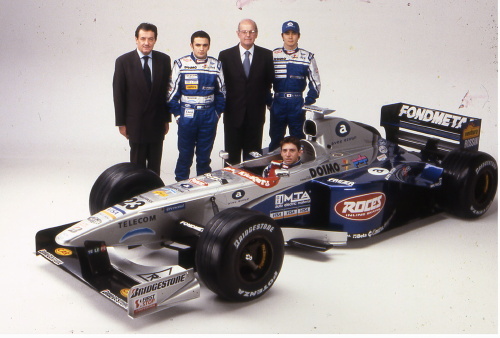 Much to the surprise of the Minardi Team, Tuero withdrew after the end of the season and returned to Argentina.